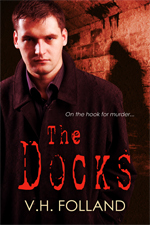 "Great short story that I highly recommend"
"I definitely recommend The Docks for a fast, entertaining read! How else can you get a glimpse into a life of crime without ever having to pay a lawyer or wear an orange jumpsuit?" "Harry�s journey and the book�s ending satisfied entirely."